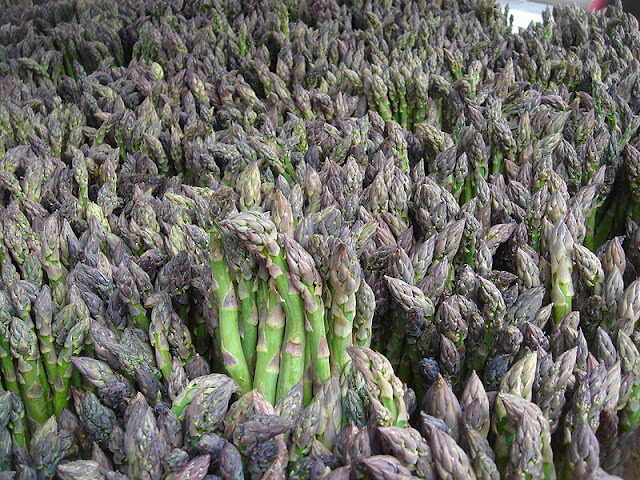 When buying new asparagus plants, most plant retailers will only offer a small range of one or two year old plants. Although they will always look healthy in the pots, there is always a risk of failure when it comes to transplanting. This can be as much as 10%-15% for one year old stock and as high as 20% for 2 year old stock! When paying full retail prices - particularly with regards to 2 year old stock - this can end up being an expensive lesson. Growing asparagus from seed - either in pots or directly into the beds – will not only give you the best viability - with a survival rate of around 100% - it is also the cheapest way to obtain new stock. In addition, with direct sowing there is no transplanting or root shock to delay valuable root development. The best time to sow asparagus seeds outside is around mid-April when the ground is warm enough to initiate germination. However, you can begin germinating asparagus seed as early as late February if you sow them under the protection of a warm windowsill or greenhouse. Remember they will need to be hardened off before they are planted outside in to their final position. 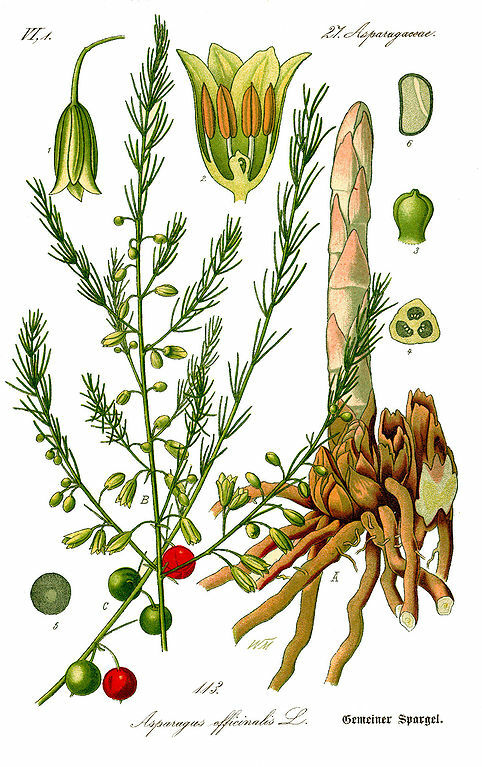 Some asparagus varieties like the popular 'Connover's Colossal are best sown indoors and as mentioned, this can be done any time between February and March. A good tip is to soak the seeds in water for a couple of hours before planting as this will help to speed up the germination process considerably. When ready, plant the prepared asparagus seed into individual pots containing moist John Innes seed compost. These can now be placed in a warm room at approximately 15-18 degrees Celsius. Once the new asparagus seedlings begin to germinate, they will need to be moved to a cool, light area such as a windowsill, but keep them out of direct sunlight. Once the threat of frosts are over they will need to be gradually accustomed to conditions outside - this known as 'hardening off' and can take between 2-3 weeks. 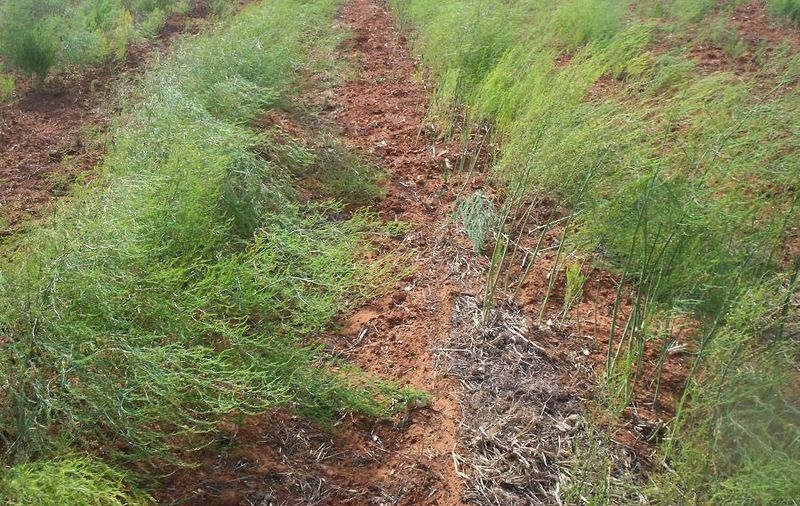 Once they are ready to be moved out into the asparagus bed proper, they can to be planted fairly deeply leaving a couple of inches of soil above the level of the compost. Keep them nicely watered over the summer period and - as always - keep the bed free of weeds, especially perennial weeds which will compete with your seedlings roots for nutrients. Growing your own plants can delay establishment of your bed by an additional year, but it does ensure that you are starting with new crowns that have not lost any of their vigour through being lifted, stored and shipped. However, not only will you have a larger selection of varieties available to you, if you choose your varieties wisely you will still be able to harvest in their second year.